Aura, the annual college magazine of KJSIEIT, has been awarded the 2nd Prize at the State Level Competition organized 'यशवंतराव चव्हाणराज्यस्तरीय महाविद्यालयीन नियतकालिक स्पर्धा2017-18'. 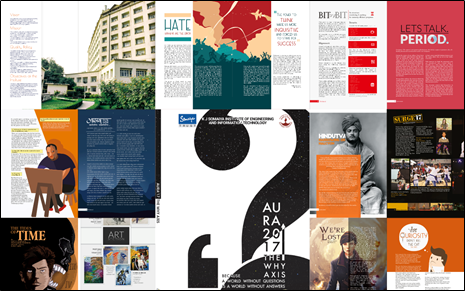 The last year's edition, themed 'The Why Axis', focused on the power 'questions' in our everyday lives possessed. The idea was reflected in the articles and artworks that presented many why's, what's and how's.